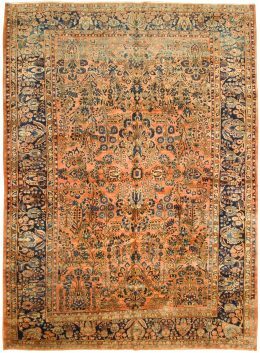 The vintage rugs of Sarouk, from the Arak province town of that name and surrounding villages, were created to satisfy American demand for a very thick, dense, very long wearing carpet with enough oriental touches to make them instantly identifiable. 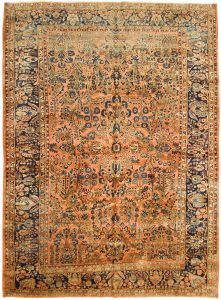 The wool is amazingly good and the dyes, although in a relatively narrow range, are warm and inviting. 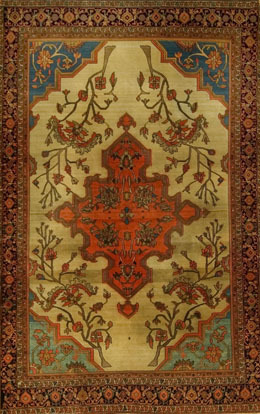 The 9’ by 12’ red Sarouk has probably been the most popular rug type ever. It never goes out of style, works with any décor, lasts forever, is not ultra-expensive. What’s not to like?